A Wedding Affair Photo by: Life Studios Inc.
Roaming models, dressed by MJM Weddings with hair, makeup, and accessories provided by Suki’s Hair Design, Vanity Closet, Davie & Chiyo, Mary Kay and Make Up Wishes will help you see the flow and lines of gowns in motion. Peller Estates will feature a sampling of their wine offerings and River Rock Casino Resort staff will offer canapes and other small bites. All brides can enter to win one of over 50 prizes, including one $10,000 and one $3,000 Grand Prize! Table displays with endless inspirations from Imagine That Events, Universal Decor, Blumen Florals, InspirAsian Creations, Dunbar Flowers Perdersen’s Rentals and Hudson’s Bay. 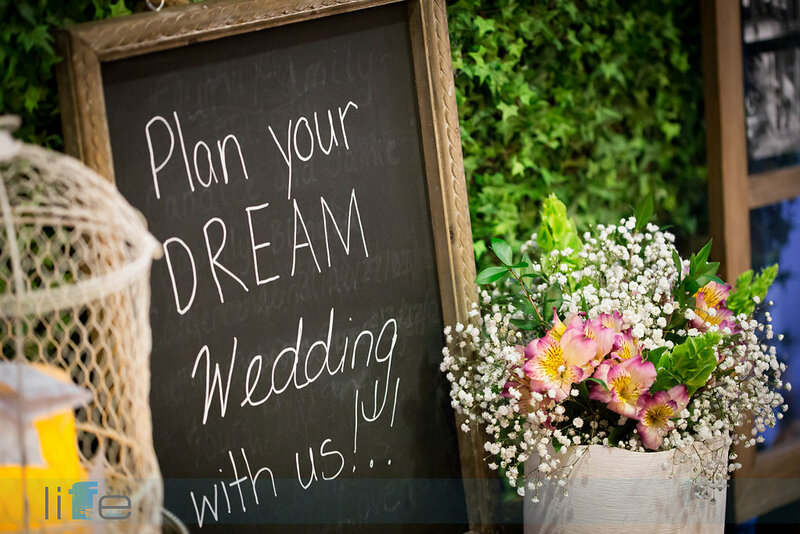 The intimate atmosphere offers you the opportunity to speak one on one with a group of vendors who can make your dream a reality. Click here to register. We look forward to meeting you at our 8th Annual Wedding Event!